Main dealer servicing is associated by some people as an unnecessary extra cost, but is it? 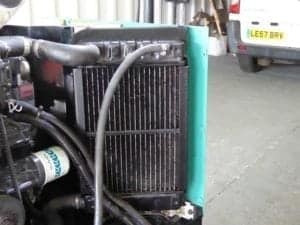 In this case study we will try to examine the facts and figures with the aid of some evidence that will explain why it is better to have your generator serviced and repaired by the Dealers. A non-genuine filter has been fitted. First of all we will look at why people fit non- genuine filters. If you are having your generator repaired by “the man in the van”, they will probably fit non- genuine filters, the reason for this is all to do with profit. The man in the van will be able to obtain non genuine filters at a low price then pass them on to you. By doing this he will make more of a profit than if he used the genuine filters. Are these less expensive filters as good the genuine ones? They are used to make the most profit and are not as good as the genuine article, a lot of these poor quality goods originate from China. If you match the filters to a high quality brand such as Wix, the difference would be very small and so would be the final price, so why risk it just to save a few coppers? The main dealers usually use a thing called standard time. These are times that are set by the manufacturers on how long it takes to complete the repair tasks which I will say are quite tight. To complete the task quicker usually means that the service tasks are rushed and not completed correctly. If you carry out a 500 hour service on a 5HDKBB Cummins Onan Generator it would take about 2 hours, the parts required would be 1 oil filter and 1 air filter. These 2 items you can eligibly get in low cost items. 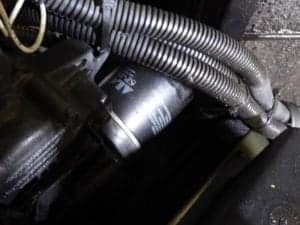 Next you would need a diesel filter, not quite as easy to purchase low cost, then a set of bushes (if they needed changing), these you cannot get after market. I can only assume you might save £20.00 on the labour and £9.00 on the parts, then we must question what engine oil will they use? 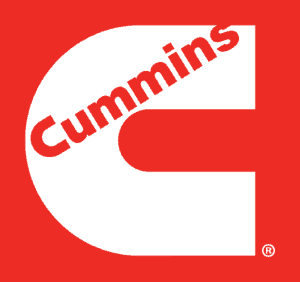 Will it be the one that Cummins recommends? 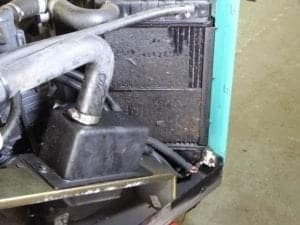 I wouldn’t have thought so, we have seen many generators with problems because they have had the incorrect engine oil put into them, they will burn the oil and leak. The 5HDKBB will only take 1.9 litres of oil, so why risk it? No access to the left-hand panel for the generator brushes. Next we will look at what is done on a service. 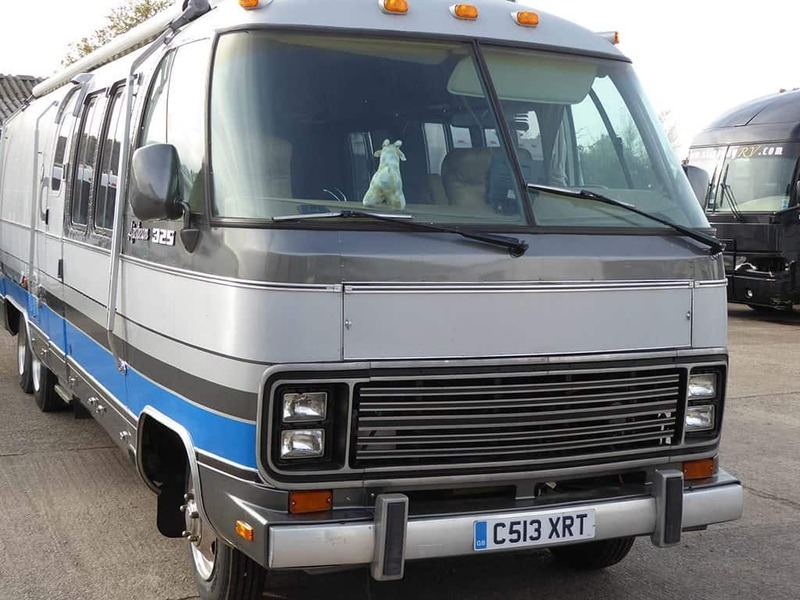 Recently LAS Motorhomes have had a generator in for repair which is owned by a well-known charity. The generator had been serviced by two different garages, both were blaming each other for the problems with the generator. 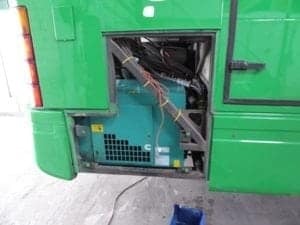 First of all, the generator had been fitted by someone who didn’t fully understand the product, they did not allow for the left hand side panel to be removed to allow access to the bushes. You guessed it, the bushes had not been changed. The only thing that had been replaced was the oil filter and air filter, as I explained these could easily be matched with non- genuine parts. The generator had had an engine oil leak for some time which had been ignored. As well as this, the radiators external core had not been cleaned this caused the engine oil to stick to the dust. This stopped the air flow which overheated the control board, which in turn stopped the generator. Evidence of the oil leak. Blocked radiator damaged the control unit. 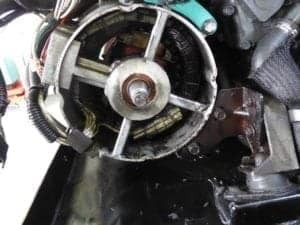 The leaked engine oil got on the drive belt as well as the generator to engine flexible drive, this then needed changing. The engine oil also entered the windings. 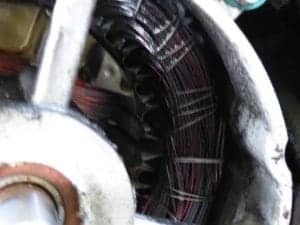 If the oil leak hadn’t of stopped the generator within a few weeks then the bushes would of ran out causing an expensive repair to the slip rings. This oil leak was caused by a defective dip stick tube that was damaged, this allowed the engine oil to escape through the tube onto the generator base plate. 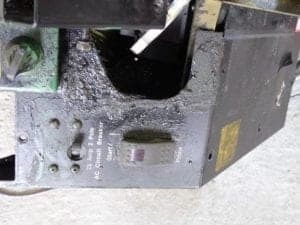 All of this could have been avoided with the care and attention of a proper service. In this case the non-dealer service was not a saving but a massive cost. I will leave you with this thought, is it a good idea to pay someone to learn about your generator, or do you take it to the experts? The radiator as it should be, genuine oil filter fitted. The oil got into the generator windings. More evidence of oil on the windings. 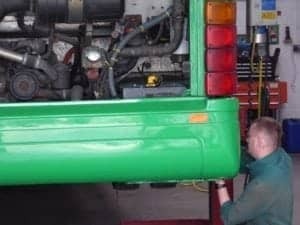 For Onan generator repairs, servicing and installation contact LAS motorhomes on 01604 861999.